Albany, NY - May 9, 2014 - Governor Andrew M. Cuomo today congratulated 33 graduates from the 11th Basic School of the New York State Office of Parks, Recreation and Historic Preservation (State Parks) Police Academy. The 33 recruits completed a six-month residential training program at the State Park Police Academy in Rensselaerville, Albany County. Training consisted of classroom education in Criminal Procedure Law, Penal Law, Vehicle and Traffic Law, Park and Recreation Law, criminal investigations and a host of other police related topics. In addition, the recruits received hands-on training in firearms, first response, snowmobile operation, basic boat operation, rope rescue, and emergency vehicle operation. Officer Philip Nesbitt, of Churchville, NY, was awarded the Leadership Award and the Physical Fitness Award. Officer James Flanagan, of Hopewell Junction, NY, was awarded the Firearms Proficiency Award. Officer Christopher Badman, of Baldwinsville, NY, was awarded the Academic Achievement Award. The new officers will be assigned to regional commands throughout the state. They will begin a 10-week field training program where they will receive supervised training from senior officers, followed by assignment to patrol responsibilities. The New York State Office of Parks, Recreation and Historic Preservation administers 179 parks and 35 state historic sites, which attract over 60 million visitors each year. For more information about state parks and historic sites in New York, please visit nysparks.com. 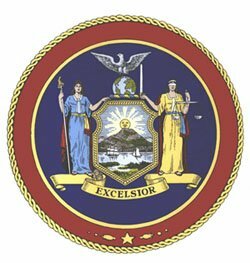 Subject: LongIsland.com - Your Name sent you Article details of "Governor Cuomo Congratulates 33 State Park Police Academy Graduates"